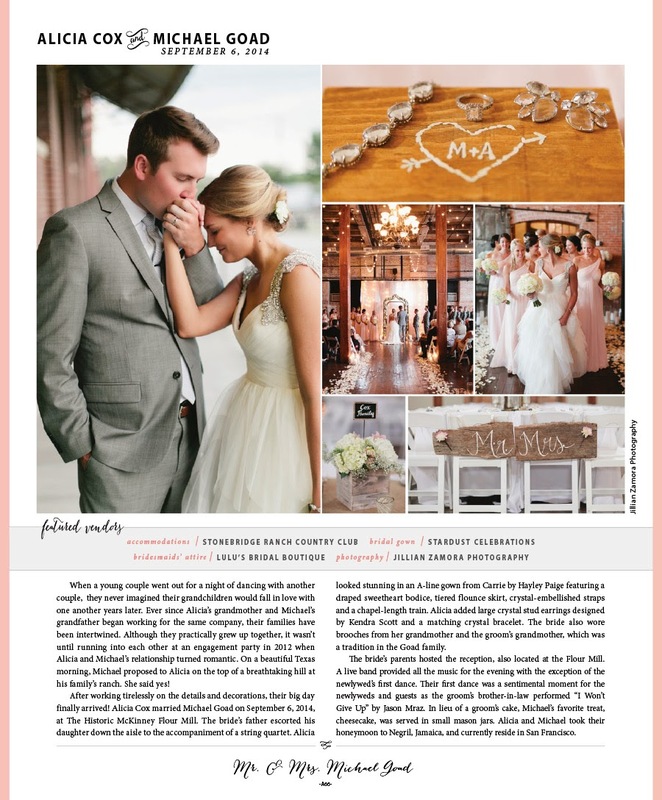 We’re still basking in the glow of being named Favorite Bridal Salon by the incredibly talented members of the American Association of Certified Wedding Planners (AACWP). We adore this fun video recap of the evening by CandleLight Films. Enjoy! AACWP Vendi Awards 2015 from CandleLight Films on Vimeo. 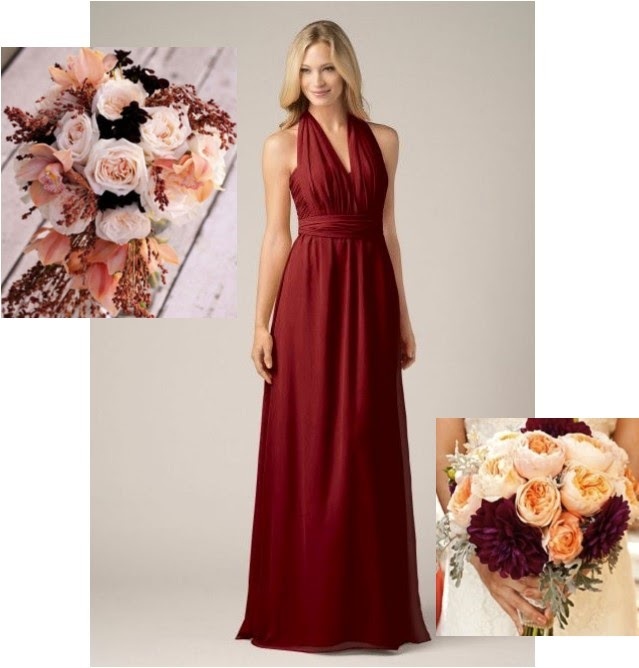 The more we see marsala wedding details inspired by Pantone’s Color of the Year, the more we like the color. It’s really pretty and is actually quite versatile! 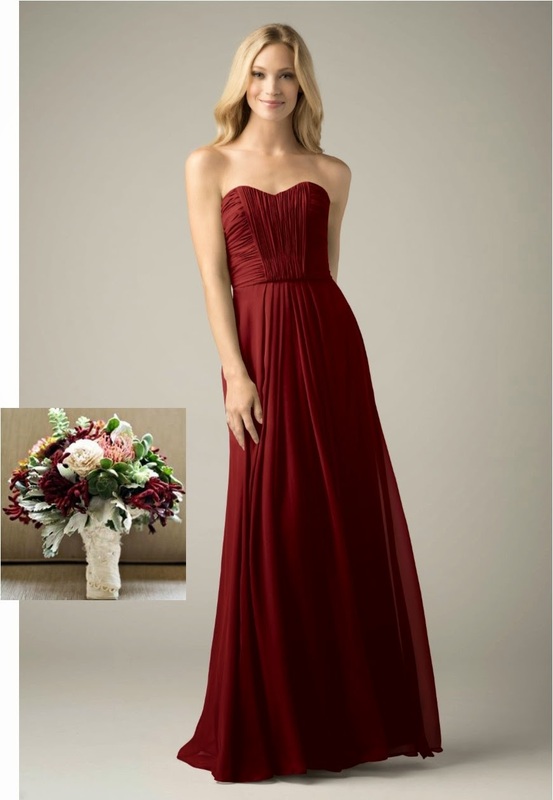 One beautiful way to bring the rich hue to your wedding day is by dressing your bridesmaids in it. 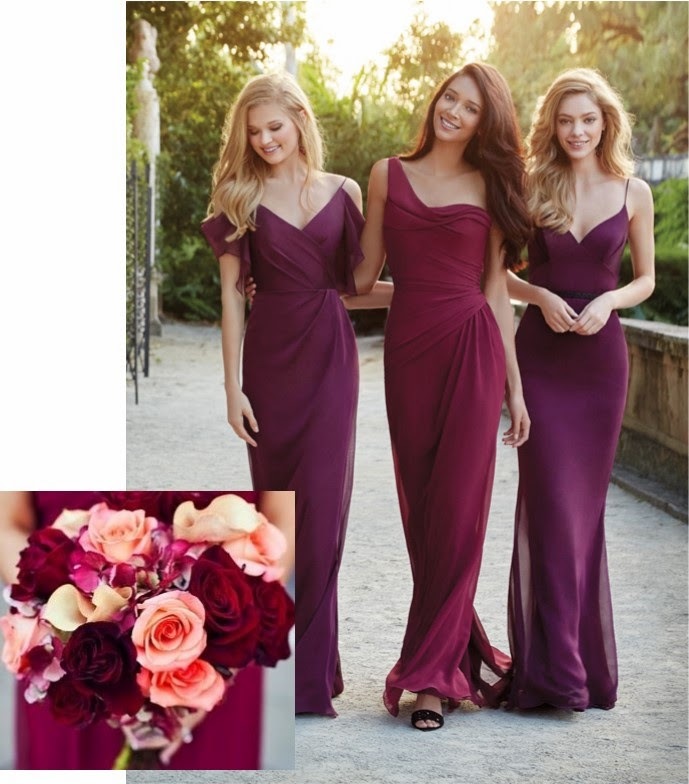 StarDust and LuLu’s carry some gorgeous bridesmaid gowns that are available in marsala-inspired shades. 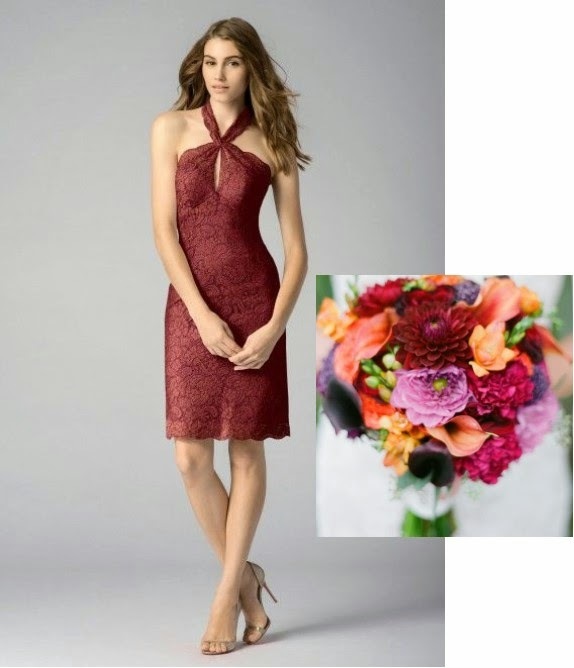 With that, we present to you colorful inspiration via our some of favorite Marsala Maids, paired with lovely bouquets to show off the flexibility of the color! We’re hosting two – yes, two! 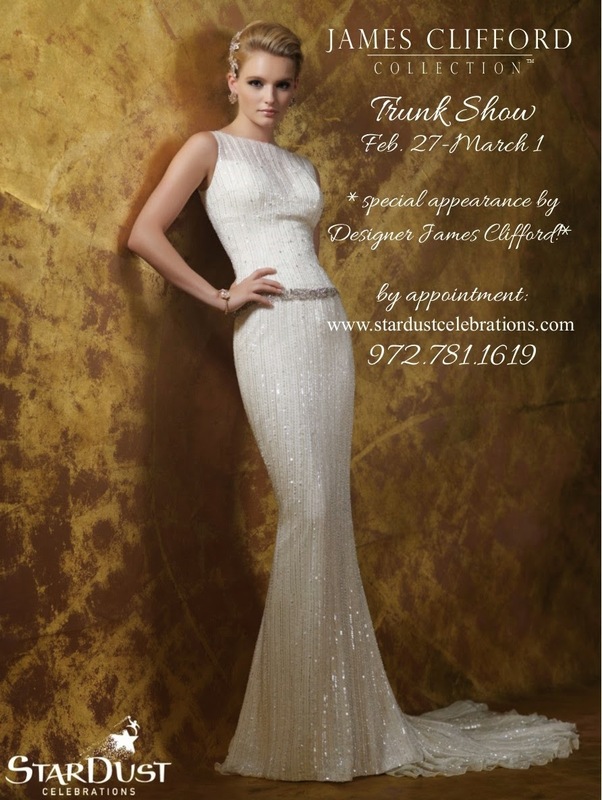 – James Clifford trunk shows this weekend. James Clifford’s couture bridal gown collection features classic looks in combination with a modern fashion flare. 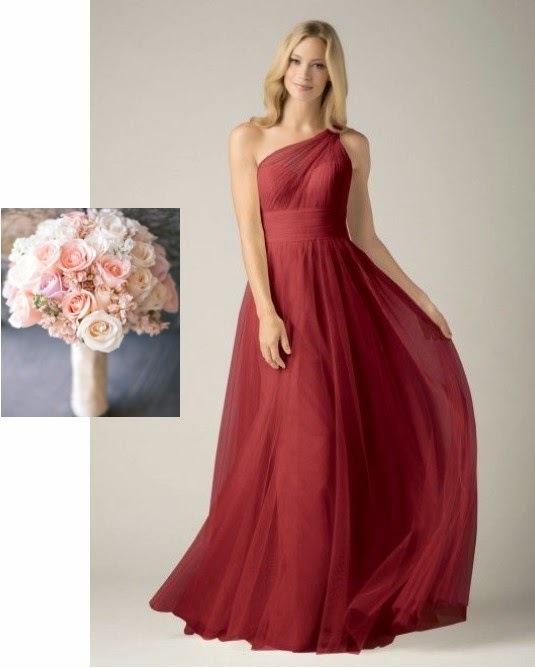 Luxurious fabrics of silk, satin and traditional, romantic lace make each wedding dress special in its own way. 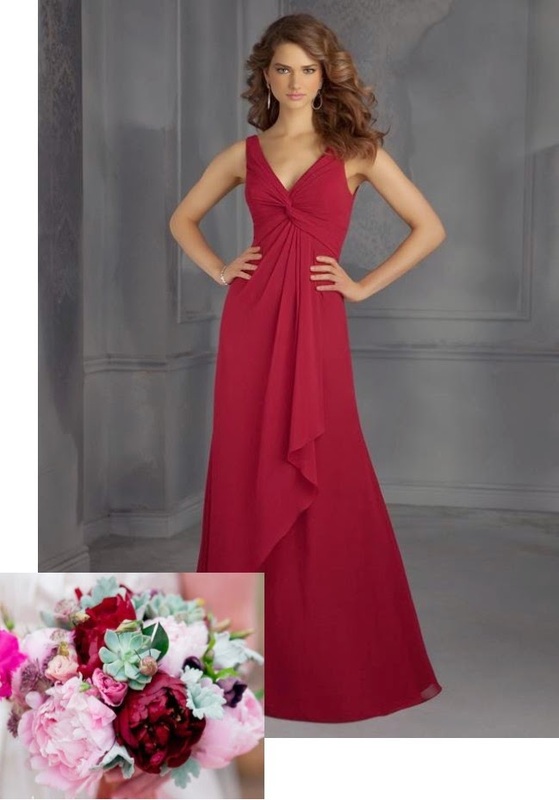 Gorgeous, eye-catching details of hand-beaded Swarovski crystal, sculpted necklines and figure-flattering rouching add glamour and sophistication. Unique styling reflects the creativity and salability of the James Clifford Collection with a variety of wedding gown silhouettes that appeal to the fashionable bride. 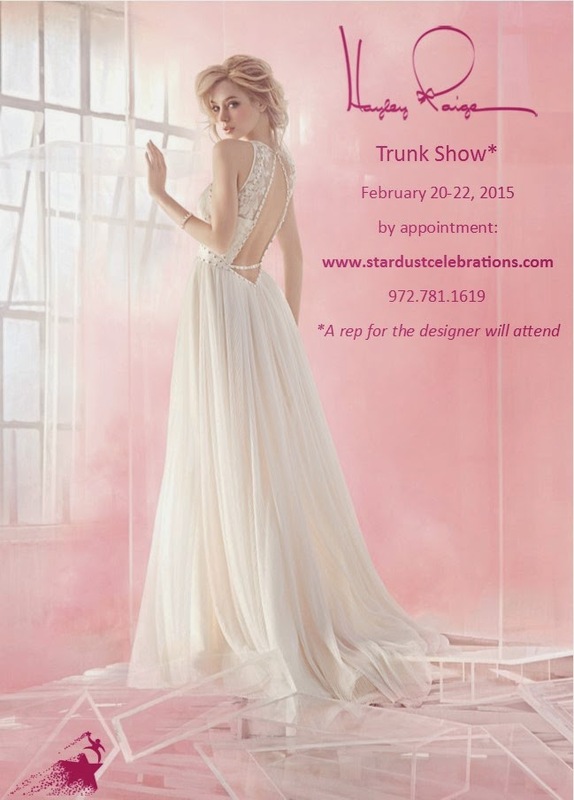 Designer James﻿ Clifford himself will join us during our StarDust trunk show. Make your appointment online or by calling the salon at 972.781.1619. Congrats again to Alicia and Michael! We wish you a wonderful marriage full of love and laughter. And special thanks to the talented Jillian Zamora for the gorgeous photos! * It just so happens that this weekend’s trunk show features Hayley Paige. Our appointments are full, but call the salon at 972.781.1619 to get on the waiting list! 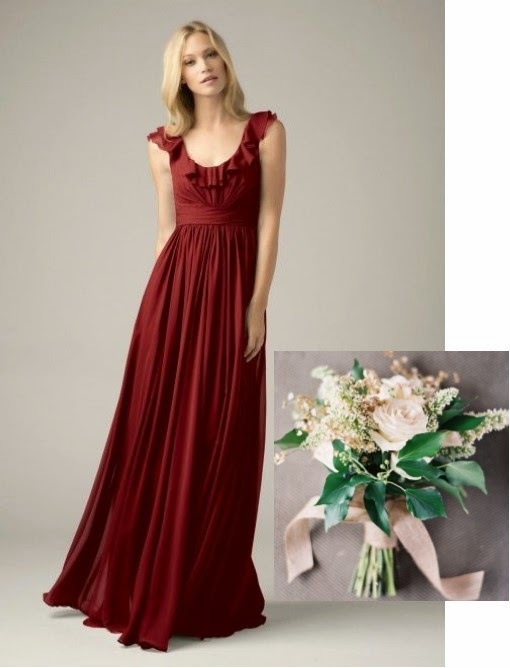 This weekend we will celebrate all things pretty and romantic and incredibly fashionable at our Hayley Paige trunk show. 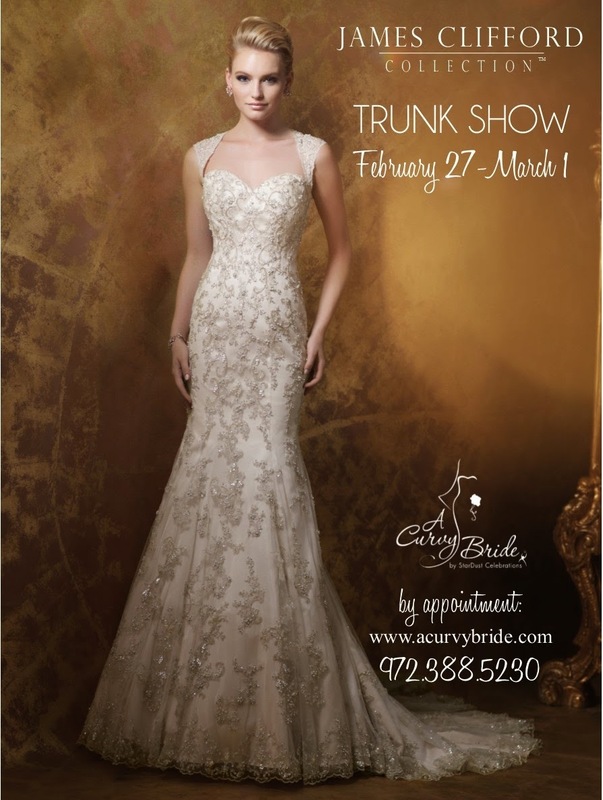 Hosted at StarDust, the show will feature the latest in Ms. Paige’s line of stunning bridal gowns. A representative of designer Hayley Paige will be on-hand for this special shopping event! 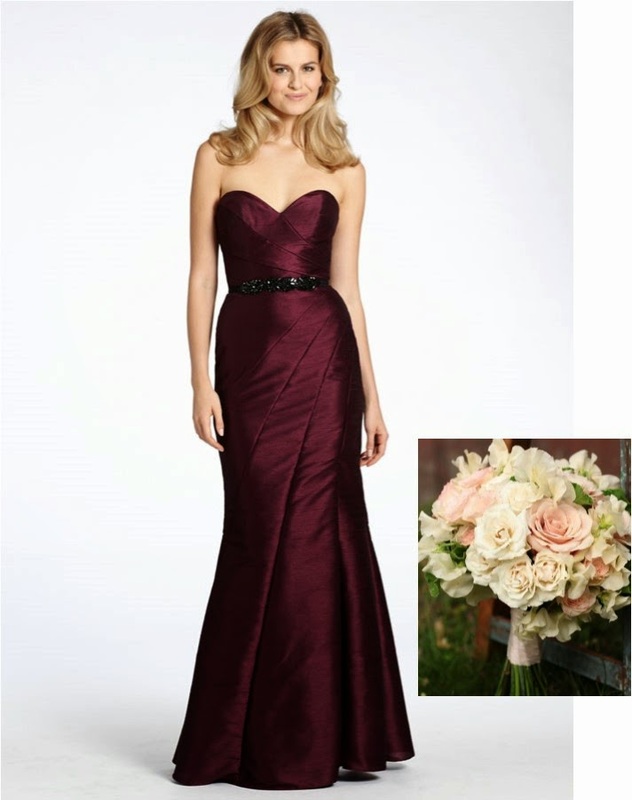 Feminine with an edge, Hayley Paige bridal gowns are fresh, lively and confident. Hayley Paige, head designer of the Blush and Hayley Paige bridal collections, made a jump start in fashion by interning at Elle magazine while attending Cornell University. After receiving honorary attention for her 10-piece bridal collection shown during her graduating online valium overnight delivery year, Hayley delved further into the bridal fashion industry, spending time designing for Jill Stuart, Melissa Sweet and Priscilla of Boston. 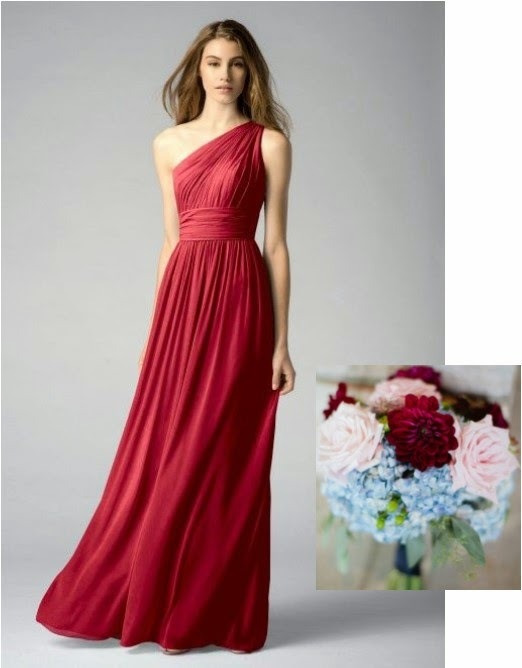 Ever so eclectic, her designs capture a romantic and charming aesthetic that balances inner ingénue and sophistication. Her interpretation of worldly influences and desire to dress hopeful romantics have provided a foundation for a fanciful and fresh take on bridal wear. Never taking herself too seriously and fully embracing the adorning history of the bridal industry, Hayley Paige develops her craft from an inspirational place of appreciation and enjoyment. Schedule your appointment online or call the salon at 972.781.1619.